So what happens when a guy who was associated with Bella Ciao for a long time ends up in Bangalore and has a chance to set up a restaurant? Not surprisingly he sets up an Italian restaurant. When I was looking for a place for a quick lunch before getting on the train back to Chennai, I called up my Bangalore counterpart, he promptly asked me to walk down to Chianti. I saw the set lunch menu at Rs. 495 plus tax (which finally came to Rs. 629), but the choice is amazing. You can get any starter, salad or soup from the 10-12 options, any main course from the 20+ options and a dessert from about 5 choices. 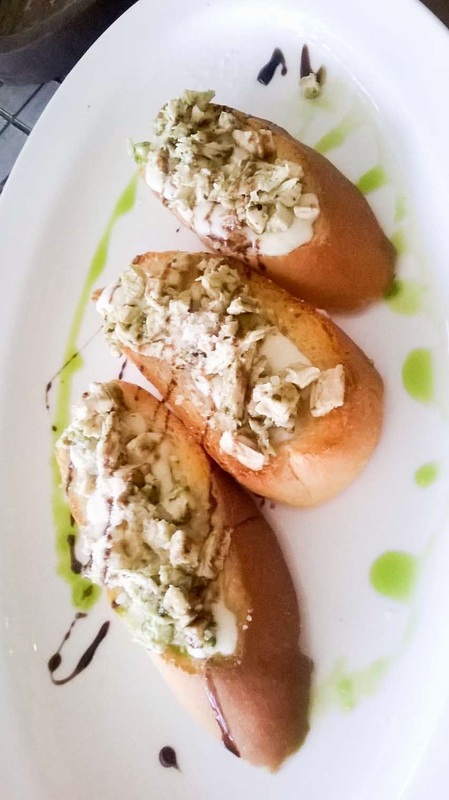 Without knowing that they serve a plain crostini as a compliment, I ordered a chicken crostini! 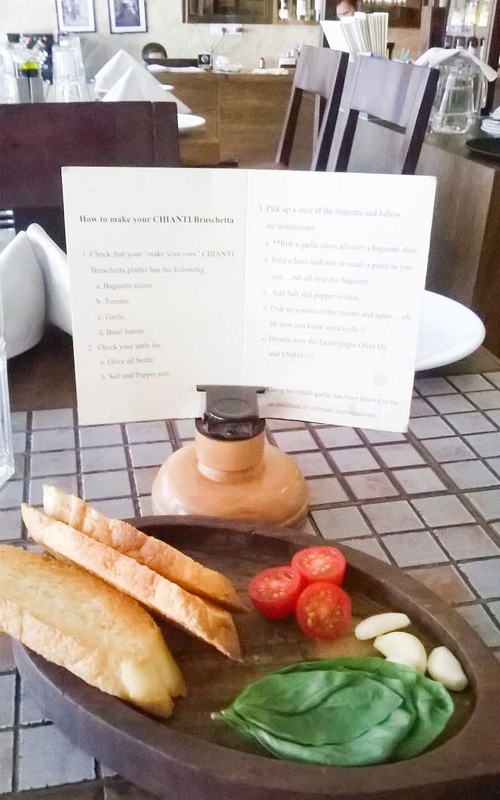 The plain crostini comes with instructions to make a crostini and essentially is a dry start to the meal, but I wouldn't order the chicken crostini the next time, not because it wasn't good, it actually was, but because I ended up with way too much bread. 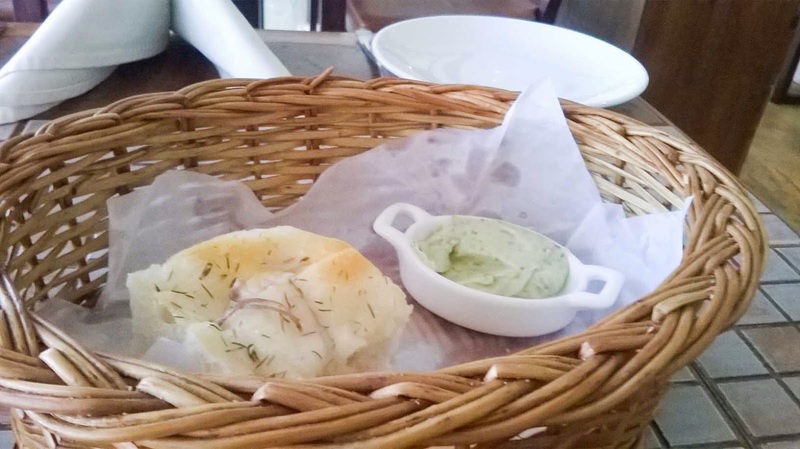 Yes, the next complimentary round was also bread, a focaccia with pesto butter! Sigh! 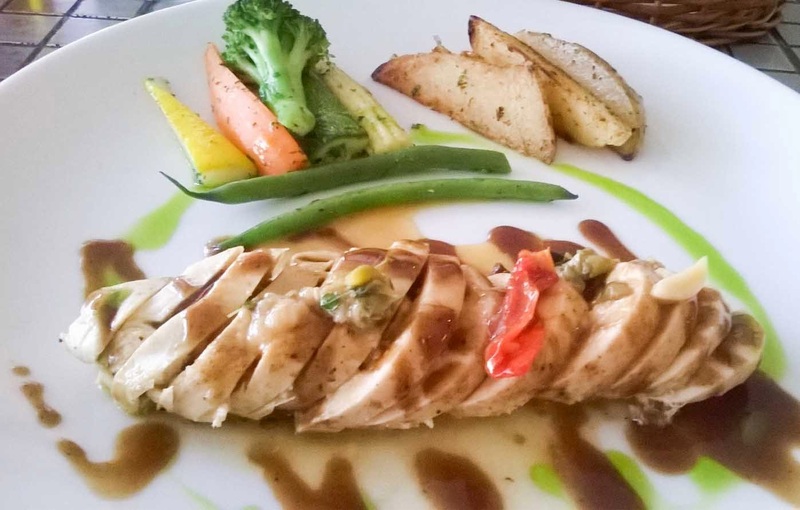 I had a grilled chicken stuffed with cheese for main course which was outstanding and the right size as part of the three course meal. The regular price of this dish is Rs. 395, but is also larger when ordered a-la-carte. Finished off the meal with the excellent Tiramisu and that was when the owner/partner sat came to next table for his lunch, which was a very delicious looking pasta. That is also when I found out about the Bella Ciao part and his history! After a little small talk, I had to rush to get into the train! But the meal alone was quite enjoyable at Chianti, thanks to the small talk and the excellent food. 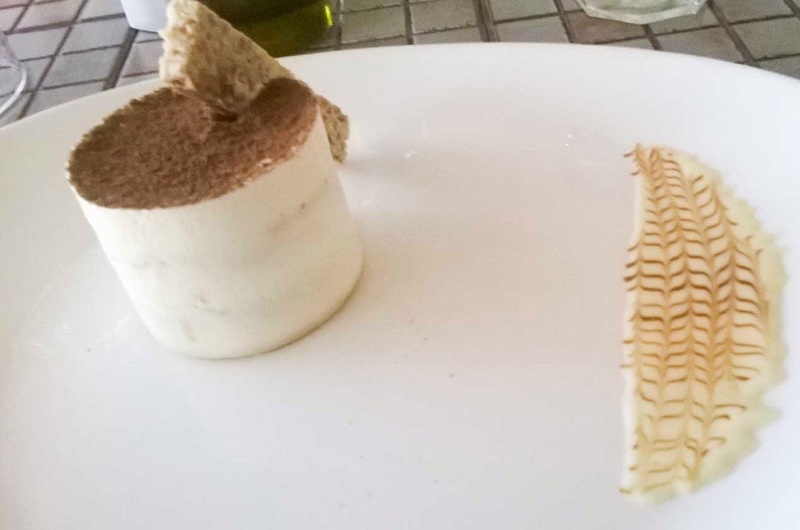 Chennai has an equally good Italian restaurant in Tuscana, but the lunch combo in Bangalore (and the price for a near 5 course meal) is hard to beat. Chianti is in Koramangala, 5th Block, the one way from the Titan Eye showroom and diagonally opposite Ban South.